It has been quite a year! So, the books published for young people have been in the position of having an enormous impact on their lives. They help make sense of things, and give voice to the issues that they are dealing with, while the world goes on turning and the adult world goes on doing whatever it does. This year, the books published have been outstanding at doing just that, and with providing the outlet for the imagination. Here are a few of my favourites of 2016. 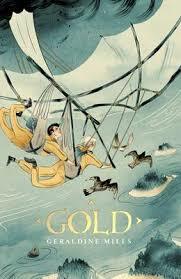 I'll get stuck right in and shout loudly that my book of the year choice for young people has to be GOLD by Geraldine Mills.This is a classic adventure story set in a future landscape scarred by volcanic ash and tightly controlled by the official bodies governing it. Two young boys show great courage, imagination and integrity by building a glider styled after Leonardo DaVinci's instructions and sail away to a forbidden sector. It contains elements of nearly every issue we ponder in these times; governmental control and corruption, education, environmental calamity in a way that never beleaguers the core story. 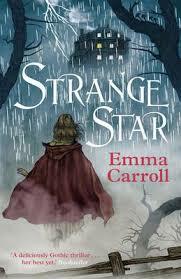 Written with beautiful use of language, story-telling, mythology, world-building, family relations and a boldness that all alludes to the great childrens classics, it is the full package. This is one everybody will enjoy and savour. 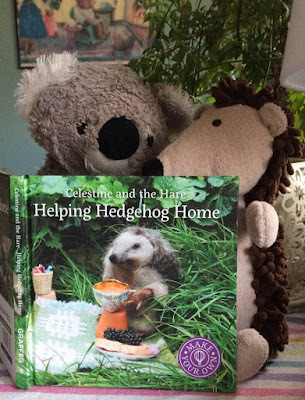 There have been a number of books published this year (and at the end of the last) that take the lives of foxes and their interaction/collision with the human world as their theme. This is not surprising when you look at the environmental concerns spreading out over our lives in general. Foxes stand out as the one animal that (seem to) most readily adapt to the urban world we have made. Also, they reflect the human condition, how we live, perhaps by their readiness to infiltrate human society. 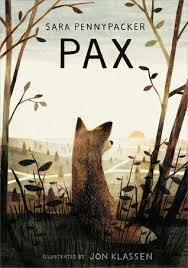 The most beautiful of these new 'fox' books is PAX by Sara Pennypacker. A simple story of a boy and the fox he has raised since it was a cub, and now has to abandon due to war, PAX speaks gently, yet with much impact, of loyalty, bravery and growing up. Physically, this is a beautiful book, with exquisite illustrations by Jon Klassen. Also holding the fox theme, it was a great pleasure to see the reissue of RUN WITH THE WIND by Tom McCaughren, before the release of the new title in this classic series, RUN FOR THE HILLS, in October. It is so gratifying to see the Glensinna foxes and return to their lives once again. 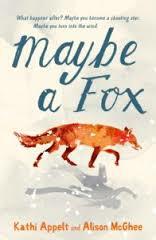 MAYBE A FOX by Kathi Appelt and Allison McGhee tells an exquisite and poignant story of family, friendship, love, grief and acceptance that will stick with you. At the time her sister, Sylvie disappears, Jules encounters a young fox cub that seems extremely familiar. This is really beautiful, but do expect a few tears...totally worth it.Let me also not forget THE FOX AND THE STAR by Coralie Bickford-Smith, released in paper this October; a wonderful, artistically designed picture book that is moving and eloquent, both in its' illustrations and its' simple storyline. Magic of the most warm and wonderful kind. Time-travel and science-fiction has been a recurring them in childrens literature this year. 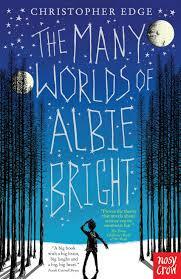 THE MANY WORLDS OF ALBIE BRIGHT by Christopher Edge sees young Albie concocting a time/dimensional traveling machine out of his mothers' computer, a cardboard box and a rotting banana to find a world where his mother may still be alive. But traveling through alternate dimensions is not quite as straight-forward as it may seem. Humourous, lively and filled with curiosity, this is a wonderful read. Likewise, TIME-TRAVELING WITH A HAMSTER by Ross Welford sees Al Chaudhury receiving a letter from his deceased father on his 12th birthday. His dad instructs him on how to build a time-machine in order to go back in time and save his life. 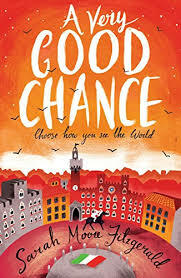 Hilarious antics and a moving story open up the possibility that perhaps, if we are careful, we may just be able to change past events for the better. 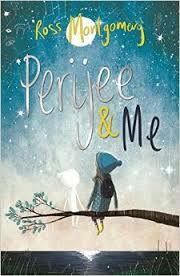 In PERIJEE AND ME by Ross Montgomery, a young and lonely girl finds a shrimp-like alien baby on the shore after a storm. Caitlin takes it home and begins to look after it as though it were her little brother. The problem is, Perijee eats a lot...of everything. And his rapid growth soon causes enormous fall-out and fear, with the only person who can save both him and, apparently the planet (quite by accident, mind) is Caitlin. A tale of friendship, loneliness and being where you belong. How about some fantasy? We all need some fantasy. 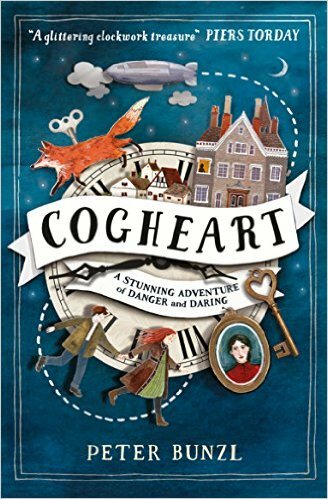 COGHEART by Peter Bunzl is a brilliant classic-style, steam-punk adventure! 13-year-old Lily has by sent to a finishing school, mostly for her own protection. But she dreams of a life as a sky-pirate. Her dreams become reality in a most unexpected way, as she is held prisoner by her governess, dodges clock-work bad guys, arson attempts on her life and sets sail in an airship to discover the truth about her father...with unexpected results. THE UNCOMMONERS: THE CROOKED SIXPENCE by Jennifer Bell takes us on an incredible adventure to a world just beneath our own, where common, everyday objects such as toilet brushes, belts,etc. have magical properties and unusual uses. Ivy and Seb Sparrow find themselves in Lundinor to solve an old family mystery and bring back Grandma Sylvies' memory. Exceptional! 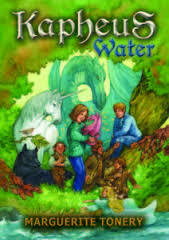 I am absolutely loving the KAPHEUS series by Marguerite Tonery, and this year saw the release of the third in the series; KAPHEUS WATER. Elisa and Jamie find themselves traveling, once again, to the fantastical world of light to fight off pirates, the Dark One and save the animals, Kapheus and even themselves. As Kapheus grows with even more substance, I can't wait for the series to continue. 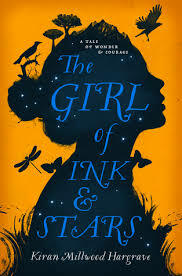 THE GIRL OF INK AND STARS by Kiran Millwood Hargrave is a book of extraordinary depth and beauty. Isabella lives on the island of Joya, an island from which she can never escape. But she dreams of adventure in faraway lands once mapped by her her cartographer father, and of her brother and mother, now lost to her. When her friend, Lupe disappears and another is attacked by a strange, blood-thirsty beast, Isabella follows an old map drawn by her mother, her heart and an ancient myth to save her life and the island itself. 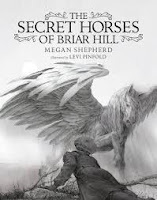 OF BRIAR HILL by Meghan Shepherd leads us to December 1941 and an evacuation hospital for young people with tuberculosis, or 'the still waters' as it is sometimes known. Emmaline is one of the evacuees, with few companions at Briar Hill, spending most of her days indoors and alone. But a surprise discovery, that there are winged horses in the mirrors and one of them escapes, takes Emmaline on a magical, imaginative adventure. Sweet, compelling and meticulously drawn, this book is exceedingly beautiful, with it's illustrations by Levi Pinfold. Amazing! friendship gives Minty hope and adventure as they embark on a journey that changes everything in both their lives and in the very small town in which they live. You are probably thinking I could go on for ages...and you'd be right. But I'm going to stop there. Each and every one of these books will take you on a wonderful adventure of your own. And it has been a pleasure to share 2016 with them. 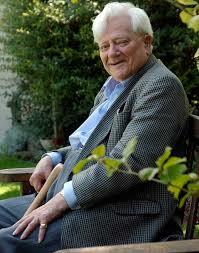 It was with great sadness today that the death of childrens' novelist, Richard Adams has passed away at the age of 96. 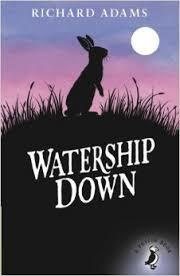 Adams is, of course, best known for the beloved story, Watership Down. This was the first of his writings, published in 1972. It was originally a story told to his daughters, who insisted he write it down and publish it. It took two years to write, and was turned down by four publishers and three writers' agencies before Rex Collings agree to publish what became one of the most iconic books of all time. Almost immediately, Watership Down received international acclaim. 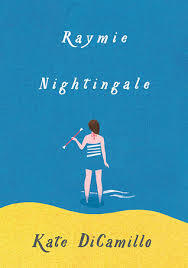 Within a few years, it sold over a million copies worldwide and went on to win some of the most prestigious childrens literature awards, including the Carnegie Medal and the Guardian Prize. "The statement announcing his death quoted a passage from the end of his best-known work. It read: “It seemed to Hazel that he would not be needing his body any more, so he left it lying on the edge of the ditch, but stopped for a moment to watch his rabbits and to try to get used to the extraordinary feeling that strength and speed were flowing inexhaustibly out of him into their sleek young bodies and healthy senses. He lived a long and happy life, and gave the world a marvelous gift. R.I.P., Richard Adams....and thank you. We have 3 days, 22 hours and 28 minutes (at the time of this posting) and then Santa will be on his way from the North Pole! One of my traditions (a new one, albeit) is to track Santa on his rounds on Christmas Eve and NORAD has been making this easy for the last 55 years. 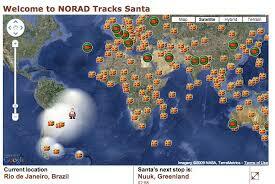 You can follow the link to the NORAD Santa Tracker and receive updates throughout his journey as to where he is, how many presents have been delivered, etc. There's also some games and a library and the history of tracking Santa. Just a bit of fun for the evening...and incentive to get those little ones off to bed before the Big Man appears. So, I am posting this little reminder for all the Santas' helpers out there, rushing around and trying to grab the perfect gifts for everyone on their list. Remember, it's not about how much you spend. That's not how you show your love. It's about selecting the things you choose to give. Too much stress? Still need help? Now, take a deep breath. Clear the noise in your head and ignore the noise all around in the shops, the street, over the TV...wherever it's coming from. Better? I really hope so. For a book lover, Iceland has a very special tradition. Each year, in the few months before Christmas, Icelandic publishers release the majority of their books. 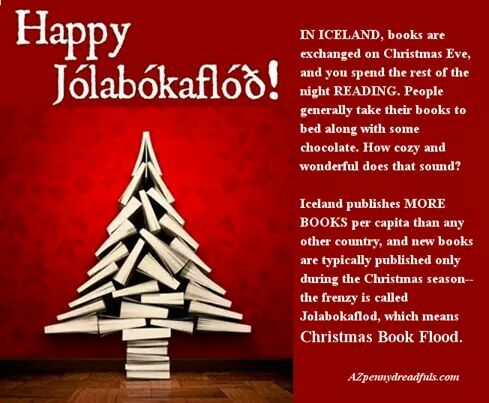 This is "Jolabokaflod", or the Christmas Book Flood. Hundreds of books are published each year at this time, revealing just how strong a literary tradition exists in this small Northern island, dating back to medieval times. During World War II, there were strict currency restrictions, which limited the amount of imported giftware Iceland could take in. 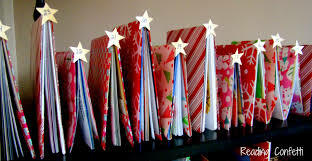 But paper itself was less restricted than other items, so this really led to books being seen as an ideal gift. Add that to the traditionally strong literary sector in Iceland, and the annual Book Flood really began in earnest. 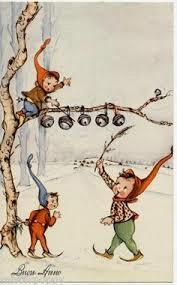 As Christmas nears, sometime around the end of October-beginning of November, a catalog is delivered to every house in Iceland, detailing the books available for that year. Iceland now represents one of the strongest book publishing countries in the world....and one of the strongest book-giving. Traditionally in Iceland, gifts are opened on Christmas Eve. With so many of the gifts being books, the rest of the evening is spent at home....reading. This is now a cherished staple of the Christmas celebrations; and an incredibly distinction celebration of literature and literacy. Wouldn't it be wonderful if the rest of us took it up? What a wonderful way to spend the holiday! 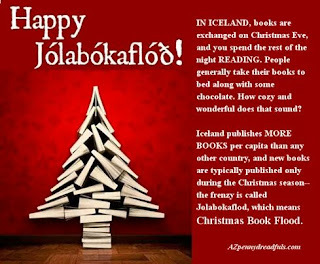 With that in mind, I wish you all a Joyous Jolabokaflod.....happy reading! 'Tis The Season for the Bookelves! Just a quick post to alert you all to the seasonal work of the Bookelves. Everyday in the run-up to Christmas, our the busy, busy Bookelves will be posting the best book recommendations for all the young people out there, from the youngest children through to YA readers. If you want some help with a specific young person in your life, you can ask them and they will accommodate! Or, if you just want to have a look and see what they are up to, just look us up! The Bookelves are on Facebook and Twitter (NOW!) and can be accessed by the hashtag #bookelves16. Tonight, during the Late, Late Toy Show here in Ireland (on RTE), the Bookelves will be recommending non-stop on both Facebook and Twitter. The Late, Late Toy Show starts at 9:30pm here. So, be sure to check the Bookelves out of Facebook and Twitter. We are here to help. It's time for my annual Advent Calendar of Books. Every year at this time, I post a different book on the page (Mary's Advent Calendar of Books) for you to consider. These are all about winter, Christmas, the holiday season. It gives me a lot of joy to see all the wonderful books out there, old and new, ready to bring that special magic into a month that can become far too hurried and hectic. And it's my way of reminding you to take a a moment and relax. Enjoy the season. That's what it's there for. 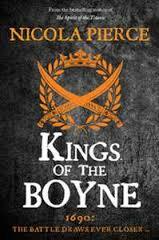 Also, if you're on Facebook and/or Twitter, look out for the Bookelves! We'll all be bringing you great recommendations throughout the season. Look for #bookelves16. You'll love it!